When Activision released the remastered Crash Bandicoot N. Sane trilogy last year, it struck nostalgic gold and the title proved to be a massive hit for the publisher. According to a recent report, that wasn’t the last we’re going to see of Crash. In fact, Activision may actually have a five year plan for the franchise. Activision has yet to confirm whether or not any of these rumors are true, but it would make a great deal of sense for the Crash franchise to continue. 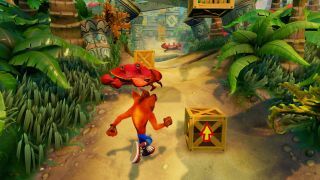 Towards the end of 2017, the publisher stated that the remastered Crash trilogy was the “No. 1 top selling remastered collection in PS4 history” – releasing some ports and a brand new title would be the natural next step. The Switch wouldn’t even be the first Nintendo console to host a Crash Bandicoot game – Crash has appeared across the GameBoy, Nintendo DS and Wii platforms, and given its hybrid nature the Switch feels like an obvious step for the platforming gameplay.